Many homes in Kentucky are surrounded by trees that begin to burst with fiery color in autumn. However, pretty foliage can quickly turn ugly when it falls from trees and starts to call your gutters home. As the days become shorter and the nights become cooler, the first of nature’s cold-weather-villains come into play: leaves. Many homes in Kentucky are surrounded by trees that begin to burst with fiery color in autumn. However, pretty foliage can quickly turn ugly when it falls from trees and starts to call your gutters home. Gutters play a vital part in protecting your home by diverting thousands of gallons of water from the roof, exterior and foundation. When gutters become blocked and this water has nowhere to go, it can wreak havoc and potentially cause thousands of dollars in damage to your residence… and your wallet. Imagine walking in after a heavy rain to find your basement flooded – electronics ruined and furniture soaked. Water gathering around the base of your home can slowly erode and weaken the foundation, eventually causing cracks and leaks – and in the worst case scenario, collapsing. 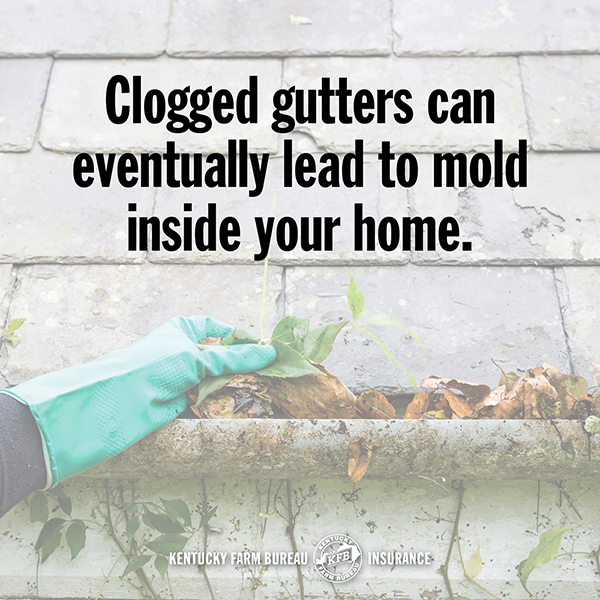 Clogged gutters can also hold on to water, allowing it to pool on the edge of the roof and creep under shingles and into the plywood below. This trapped moisture can cause roof rot, and, in turn, allow water into your attic and the rest of your home. When water seeps into the walls of a house, mold also becomes a very serious threat. According to the Centers for Disease Control, mold can cause adverse health effects, including nasal stuffiness, throat irritation, coughing, wheezing, eye irritation, and even serious lung infections. If you find mold in your home, you can remove it from hard surfaces using simple household cleaners and non-porous gloves. However, if the area to be cleaned is larger than 10 square feet, the CDC recommends hiring a professional to inspect the problem, which can quickly produce a bill into the thousands of dollars. Another side effect of blocked gutters is unwanted house guests. The soft leaves, pine needles, saplings and debris in your gutters are perfect home-building materials for invasive critters such as squirrels, possums, birds and cockroaches. 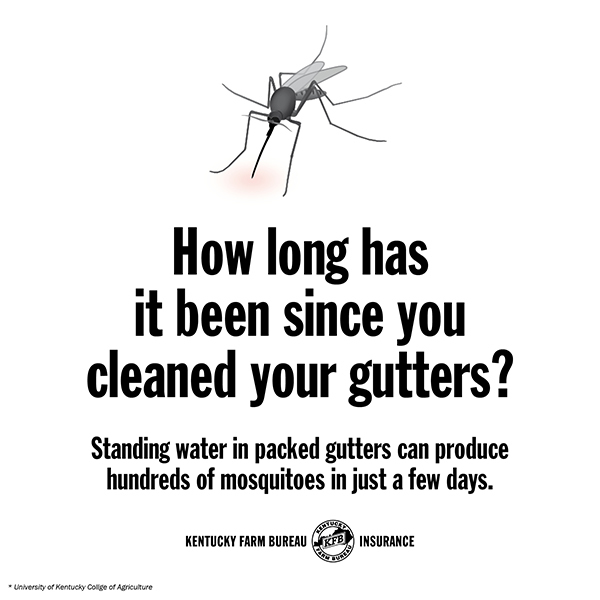 According to a study by the University of Kentucky College of Agriculture, Food and Environment, standing water in packed gutters can also produce hundreds of mosquitos in just a few days! In many cases, prevention is a much cheaper (and easier) option than a repair. 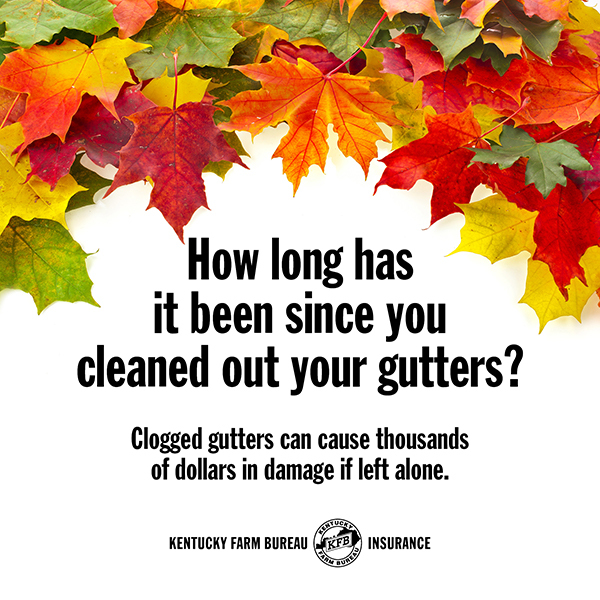 Luckily, you have the opportunity to clean out you gutters before they clean out your bank account. 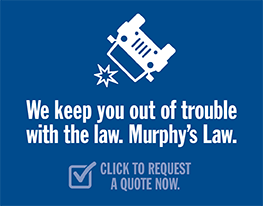 Preventing most of these problems is as simple as removing debris a minimum of twice a year (once in the spring and once in the fall, generally). Another option is gutter guards, which were created to help keep your gutters free of debris if installed and maintained properly. Protecting your home from Mother Nature can sometimes seem like a wild card. Unfortunately, you can’t control the weather. Fortunately, you can control how protected your home is against it.